Who’s ready for the NCAA Championship game tonight? We definitely are. 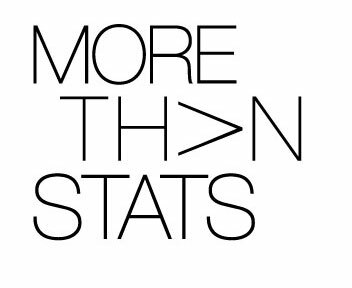 The campaign supports sportsmanship between players and fans by sharing interesting research findings that show how real sports fans feel about aggression in the stands and amongst fans. 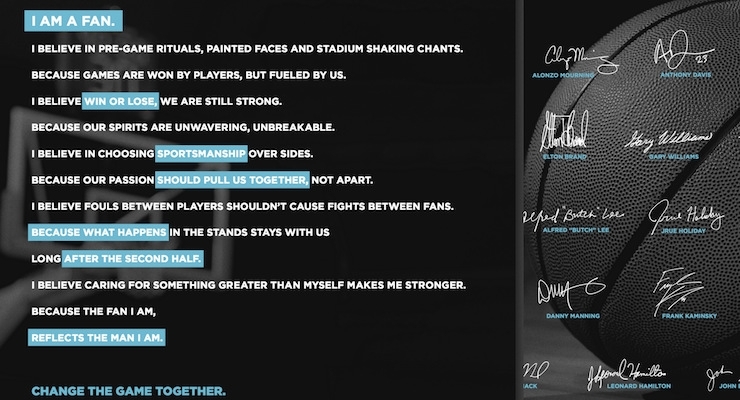 The manifesto was supported by star athletes Jrue Holiday, Elton Brand, J.J. Reddick, Al Horford, and Alonzo Mourning just to name a few. – Aggressive fan behavior is evident at sporting events as 8 in 10 (78%) U.S men have seen aggressive fan behavior while attending a sporting event and 7 in 10 (71%) have seen aggressive fan behavior online. – 75% of Canadian men have also seen aggressive fan behavior while attending a sporting event and 65% have seen aggressive fan behavior online. 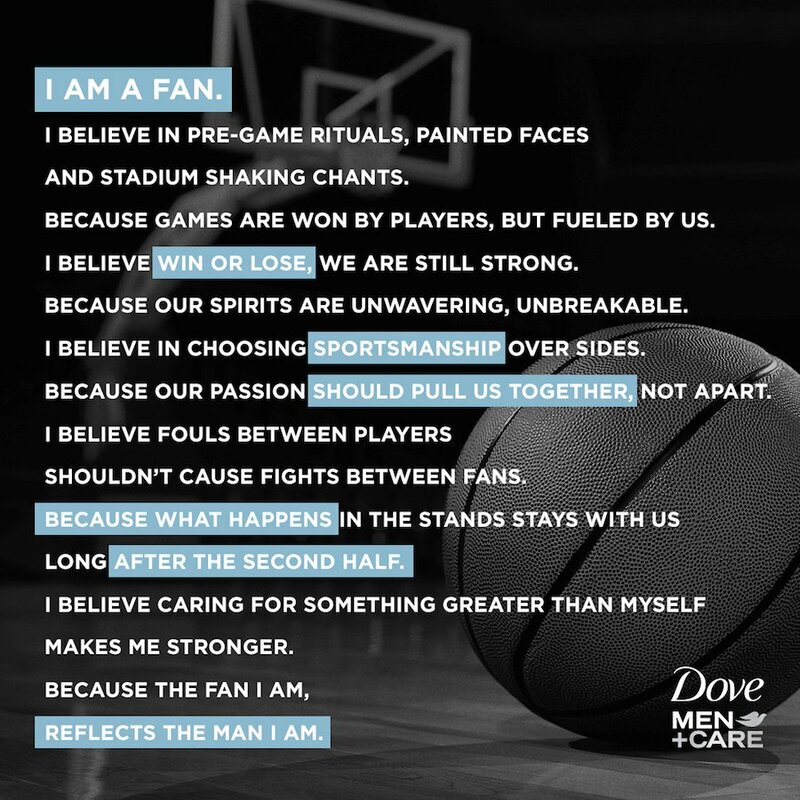 – Almost all (98%) of Canadian and U.S men believe that a positive fan experience/culture enhances their sporting experience. – Respondents acknowledge the importance of respect and good sportsmanship for their experience at sporting events as 97% of respondents agree that sporting events are more enjoyable when fans on both sides are respectful and display sportsmanship and 86% say that when fans get rowdy and rude it ruins their sporting event experience. – 96% of Canadian and U.S men enjoy attending sporting events more when there’s positivity in the stands among all fans. – 97% of men believe that men can show good sportsmanship during sporting events without sacrificing their passion for their team. – Additionally, 96% of respondents do not want to let their passion and excitement for their team lead them to act aggressively or out of character at a game as almost all (97%) believe that men should be respectful of opposing fans during sporting events. – Over half (64%) have hesitated at times to bring their child to games because of negative fan behavior. – Half (53%)of U.S and Canadian respondents state that their child has seen negative fan behavior. Furthermore, 81% of those who have seen negative fan behavior with their child have had their child ask them about this behavior and 90% state that this has negatively affected their child’s enjoyment of the game.